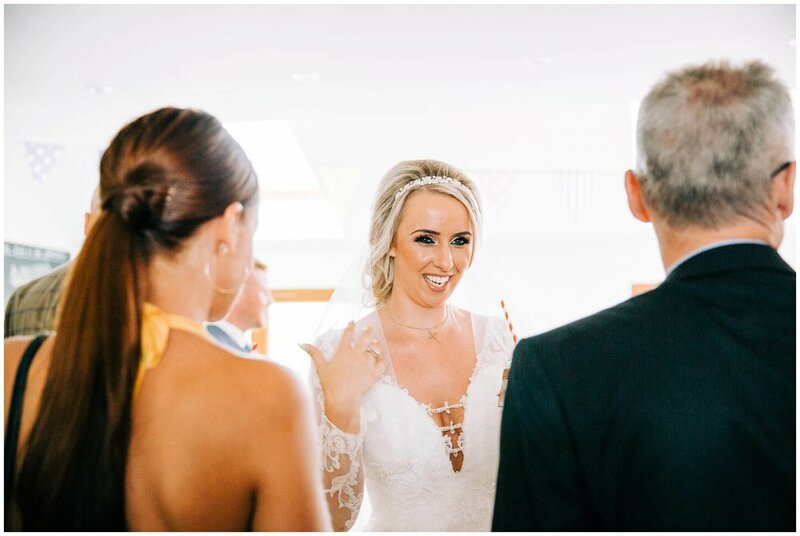 I was so incredibly excited about Hannah & Matt’s big day that I just had to share with the rest of the world some photographs of this very unique venue. 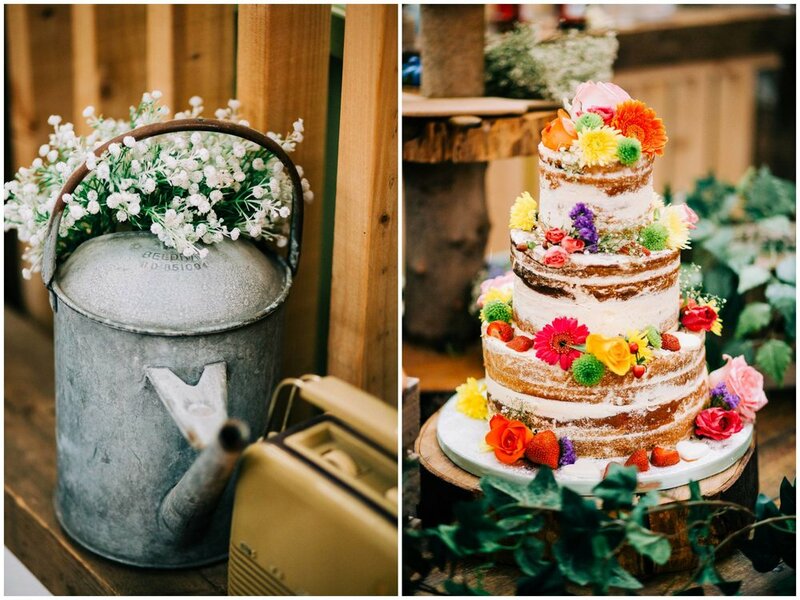 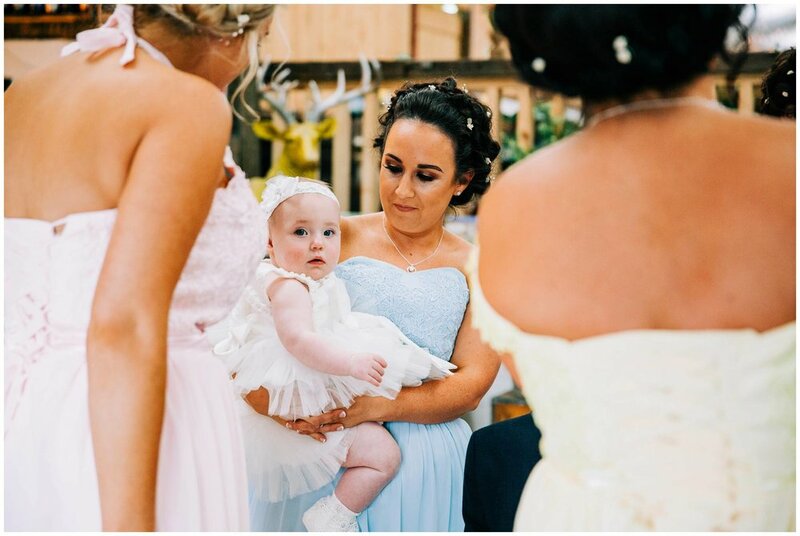 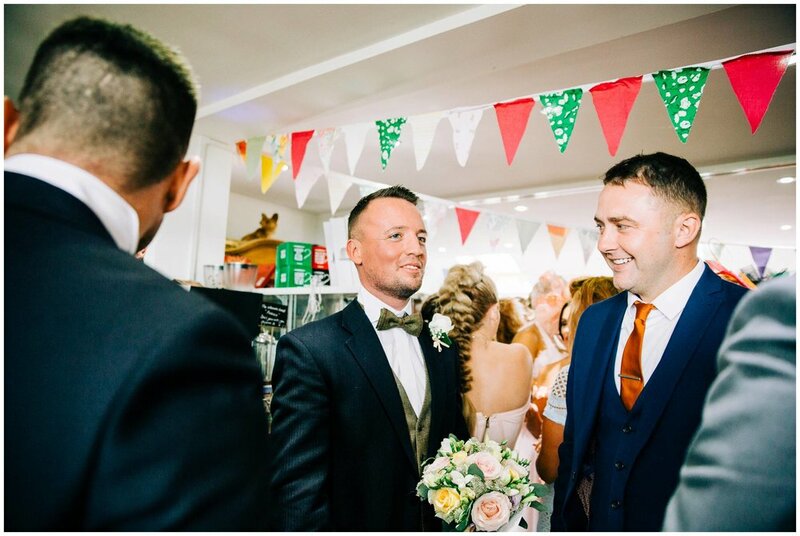 The Wellbeing Farm has the right mix of rustic, quirky and fun to create a relaxed and throughly enjoyable wedding day for your friends and family. 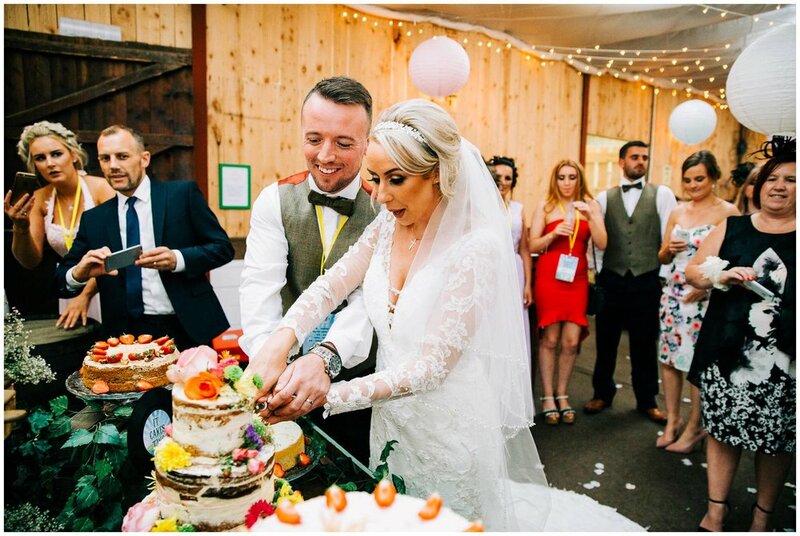 Set amongst beautiful english countryside, this venue has everything for you to celebrate you day late into the night. 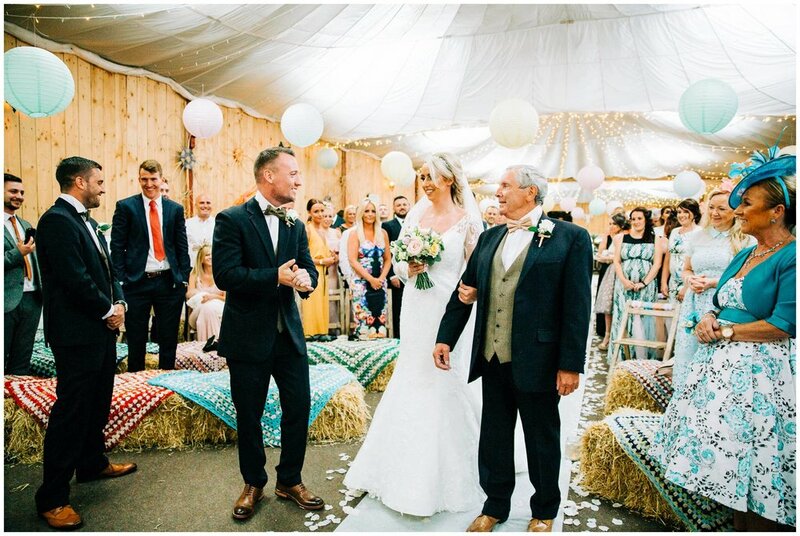 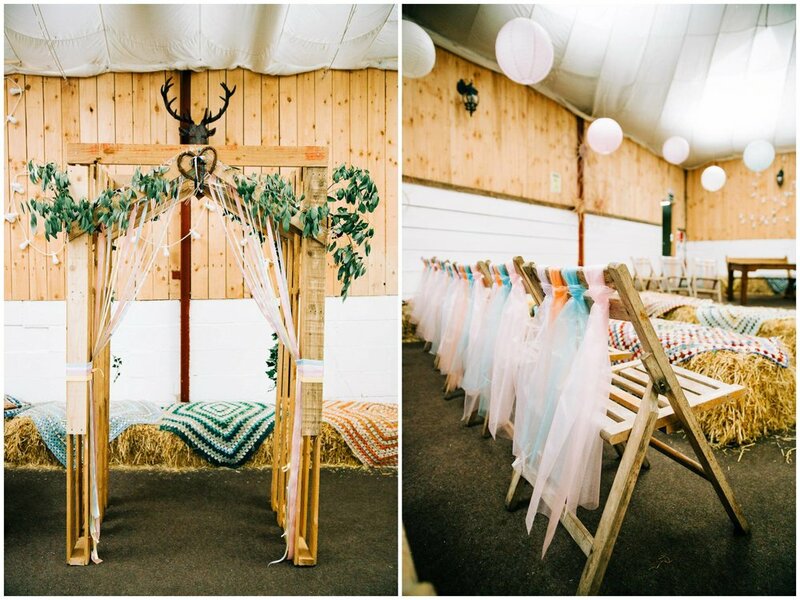 The barn is wonderfully bright and is dressed beautifully with bales of hay, rustic wooden tables and chairs and is styled with some lovely little details (including sheep) that when combined together gives a real feast for the eyes. 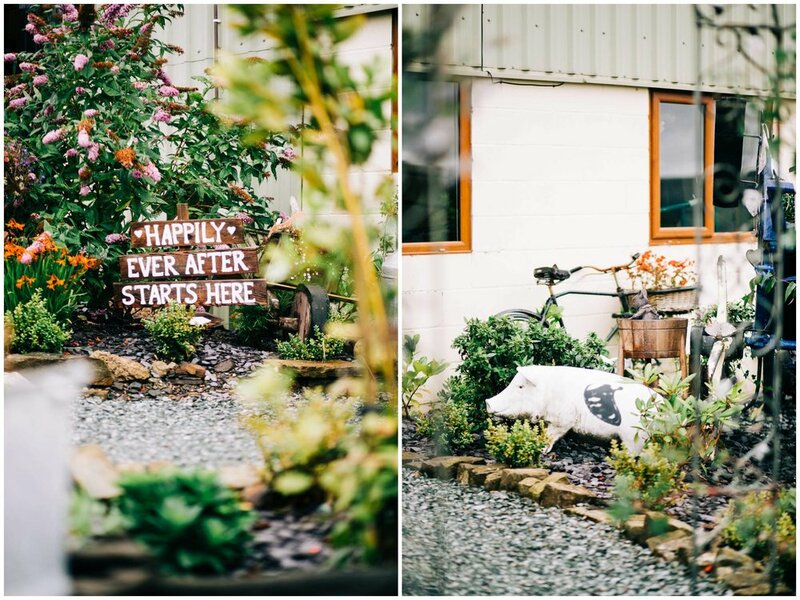 The food for the day is catered by the farm itself and uses its own produce, how brilliant! 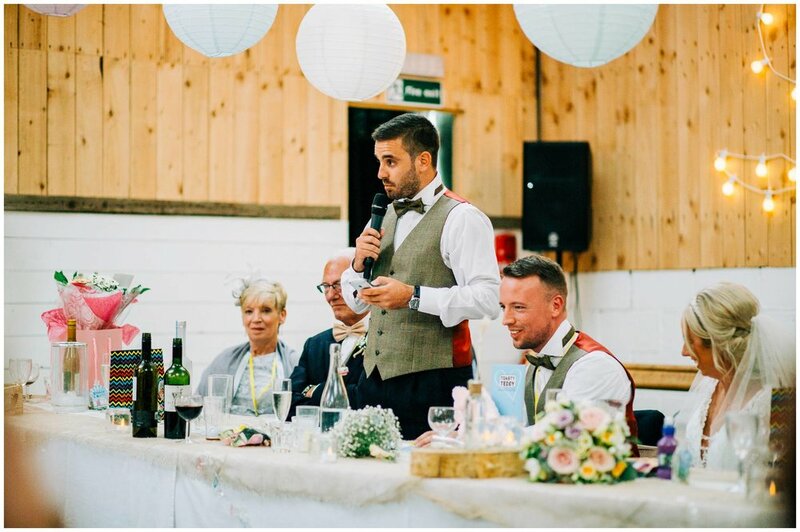 Just incase you need some further persuasion, the farms llamas can be invited to your day as guest and will be suitably dressed in bow ties. 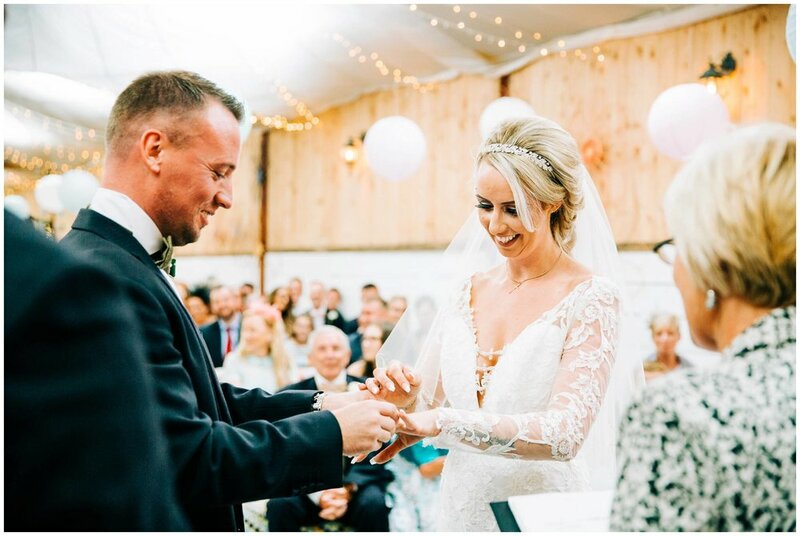 Hannah and Matt had a fabulous vision for their day, Matt is a DJ, so music is a huge part of their lives that it just had to be part of their wedding day also. 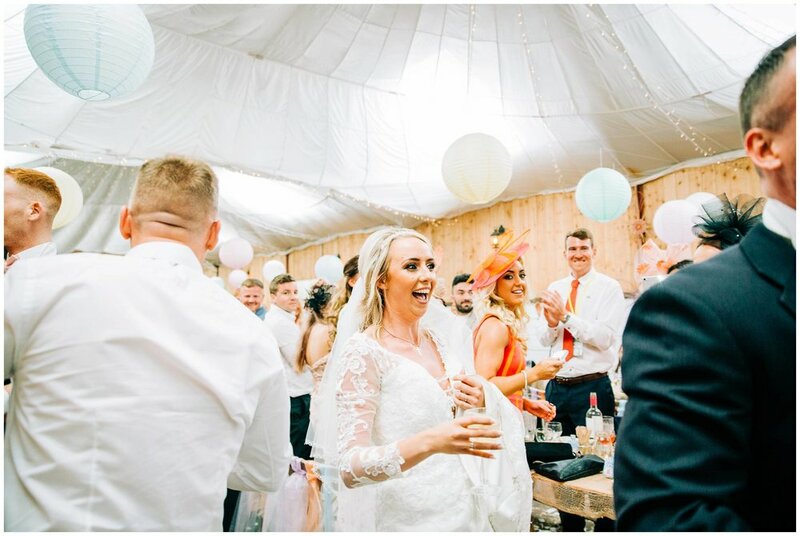 As you can expect the theme was very much a ‘Festival Wedding’ with guests name cards being festival lanyards and Jager Bombs for the favours. 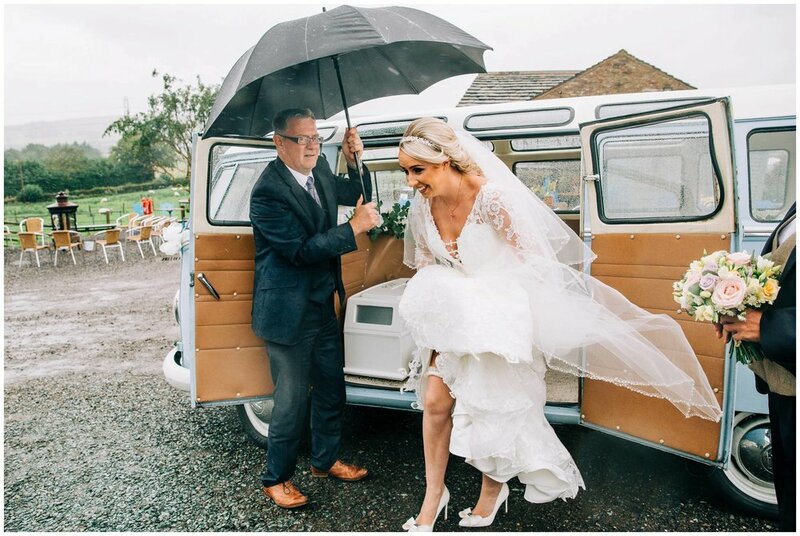 As you will see the wet weather didn’t dampen anyones day and the Llamas were a real hit too. 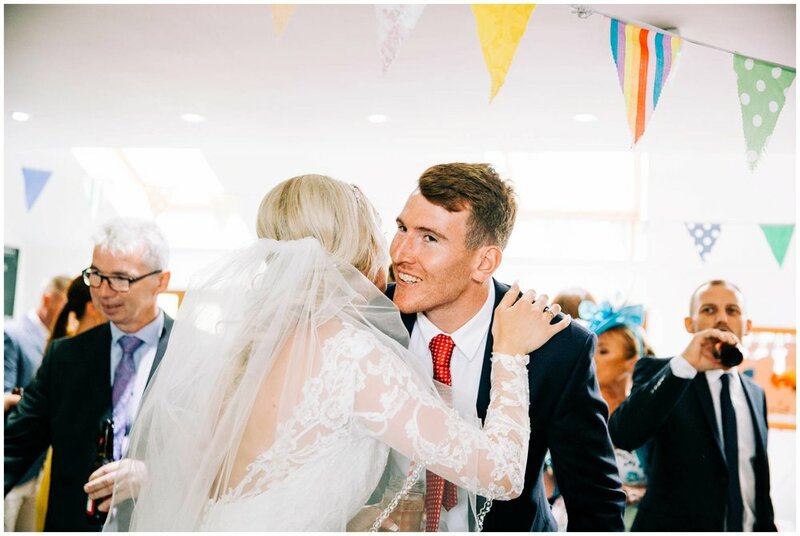 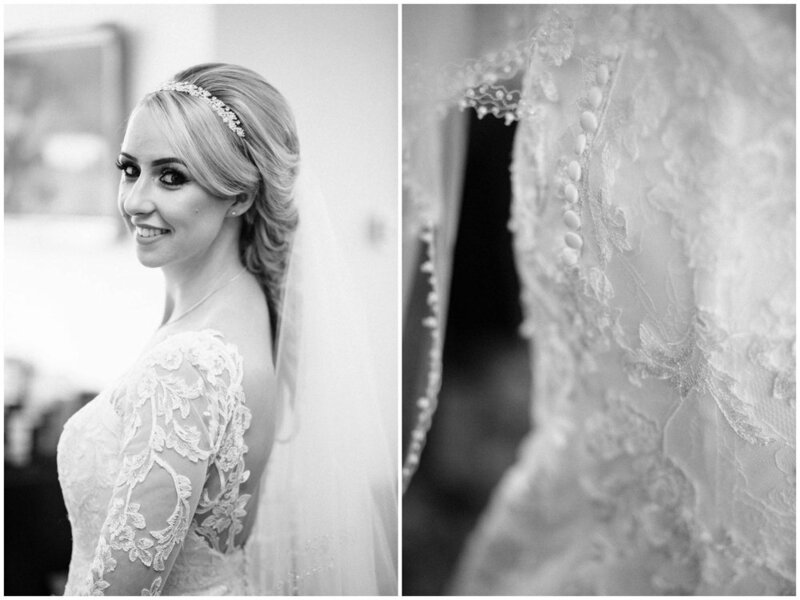 You guys rocked your wedding day and it was fab to be there to capture it! 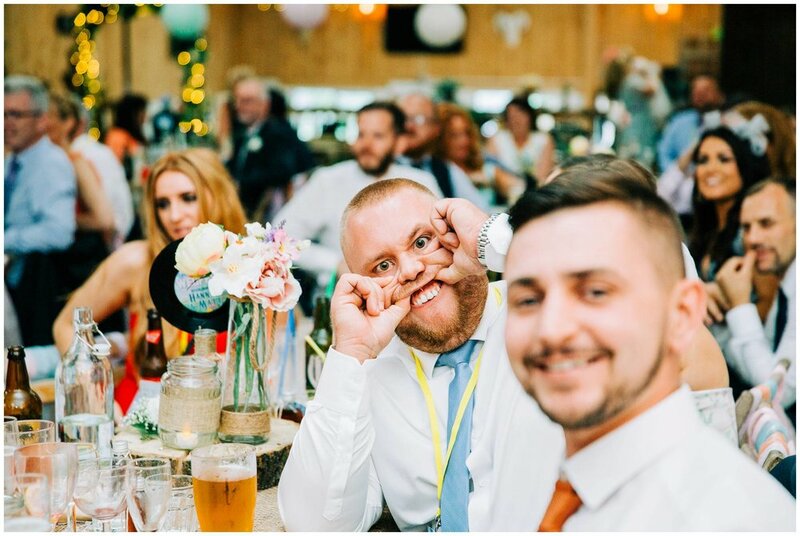 Thanks for having me Hannah & Matt. 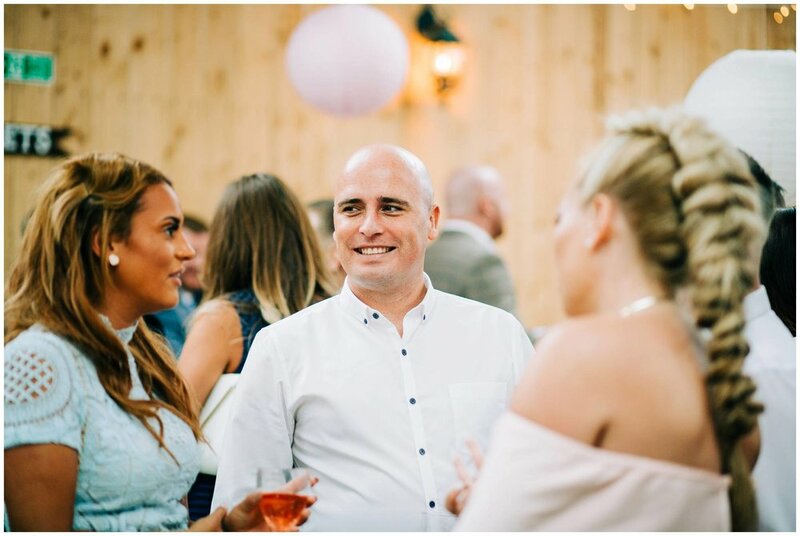 If you are having a festival wedding or a wedding at The Wellbeing Farm and you need a photographer, come and chat to me HERE.